Those in the iGaming/eGaming industry who want to grow their companies/income stream and network would definitely benefit from joining SiGMA (Summit of iGaming, Malta) and AGS (Affiliate Grand Slam) this year. Both of these events are run by the same organizers but are targeted for different affiliate audiences and are conducted at different venues and dates. AGS is to be held on the 28th of April in Tallinn Estonia while SiGMA is scheduled for November 22nd up until the 25th in Malta. Regardless of where these are held though, affiliates are guaranteed to expand their knowledge and networks by joining either of these events. What does SiGMA and AGS have to offer? SiGMA or Summit iGaming, Malta is an annual event that takes place every November in Malta. Considered the largest iGaming show in the country, it showcases the best innovations, technology, and services in the industry. The event gives participants insights on industry trends not just for affiliates but also for operators, recruitment agencies, marketing/media and communications firms, as well as IT and software providers. These industry stakeholders will get to expand their knowledge through 4 conferences to be held during the event. The first conference will be centered around the Sports while the 2nd, 3rd, and final conferences will feature talks regarding Affiliates, Regulations/Regulatory Bodies, and Payments & Disruptive Technology respectively. AGS, or the Affiliate Grand Slam, is another event produced by the same organizers who came up with SiGMA. Unlike the Malta-based event though, this one is targeted specifically for affiliates based in the Nordic region. The event will be held at the Hilton Tallin Park in Tallin Estonia on the 28th of April and is expected to end on the following day (the 29th). 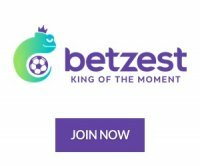 Considered a primer for SiGMA, the event is an opportunity for participants to network with 200 quality affiliates as well as operators such as Betting Gods, OlyBet, PlayOJO, Quasar Limited, and Videoslots.com. Of course, these events aren’t just limited to networking and endless conferences. For AGS participants, the organizers have prepared city tours as well as various breaks in entertainment breaks sandwiched between conferences. On the other hand, SiGMA has open air networking events that offer drinks during pre-registrations, poker tournaments, and a closing party. Prospective participants who want to join SiGMA would do well to get in touch with the organizers at info@maltaigamingsummit.com. Those who want to get more details about the event can also opt to get in touch by contacting this number: +356 99263626 or this Skype ID: eman.pulis. For information about AGS, prospective participants would do well to get send their inquiries/questions to info@sigma.com.mt or reservations@sigma.com.mt. Additionally, they can opt to contact these numbers if they wish to know more about the Tallinn event: +356 99263626 or +356 99540187. For those who’d like to contact the AGS organizers through Skype, these are the relevant Skype IDs that they’ll need to add: eman.pulis, dennishdyhr, j.gorny, s.crouzet, marius_ga.